Arizona is the most pro-life state in the United States, while Washington state is the most pro-choice, according to a report released by Americans United for Life. The pro-life group earlier this month released its 14th annual edition of Defending Life, a publication that examines the state of abortion laws in all 50 states. According to their research, AUL listed Arizona as the most pro-life state. This was based off the state having several restrictions on the practice, among them a ban on partial birth abortion, an ultrasound requirement, and strict licensing requirements for clinics. Furthermore, Arizona does not specifically identify abortion as a right, meaning that if Roe v. Wade were overturned, abortion would likely be outlawed. Arkansas was the second most pro-life state, followed by Louisiana, Oklahoma, Kansas, South Dakota, Mississippi, Georgia, Michigan and, at No. 10, Nebraska. On the opposite end of the spectrum was Washington state. According to AUL, the state has few regulations on abortion and allows for embryonic research and assisted suicide. “Washington does not adequately protect women from the negative consequences of abortion, nor does it protect unborn children from criminal violence,” explained AUL. California was the second most pro-choice state, followed by Vermont, New Jersey, Hawaii, Oregon, Nevada, New York, Connecticut, and Massachusetts. The Center for Arizona Policy, a socially conservative organization, celebrated the news of AUL giving their state the No. 1 spot for the second year in a row. “We couldn’t have done it without the support of our CAP friends,” said Center for Arizona Policy President Cathi Herrod in a statement earlier this month. The AUL’s Defending Life publication was released days before the annual March for Life event, the largest annual pro-life gathering in the United States, which takes place on or near the anniversary of the Roe v. Wade decision. “Medical and technological advancements continue to reaffirm the science behind the pro-life cause — that life begins at fertilization. 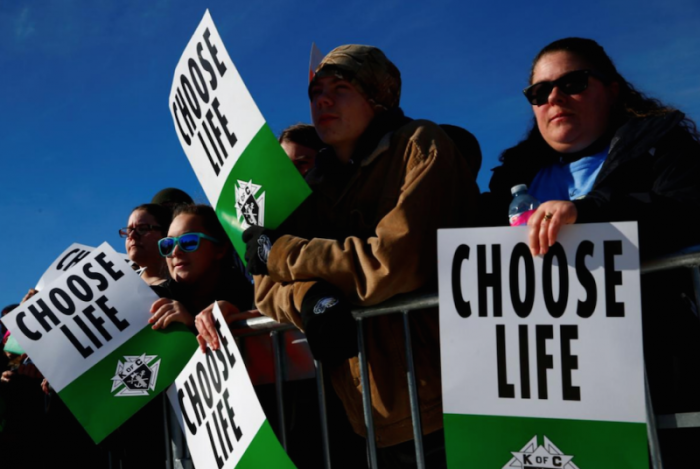 Life, in its most vulnerable form, should be protected,” stated the March for Life.